Showcasing one hundred years of innovation and environmental sensitivity, Handmade Houses celebrates some of the world’s most idiosyncratic homes from Big Sur to Sardinia. Author Richard Olsen unveils the components used for their construction, including driftwood, boulders, and even old wine vats. The first study of the handmade-homes phenomenon since its inception in the late 1960s, Handmade Houses revisits the subject’s roots and history, exploring how these homes and their owners paved the way for the architectural-salvage business and the reclaimed, industrial look ever-popular today. As fascinating as the structures are themselves, their owners—professionals and amateurs who personally designed and built each residence—offer their inspirations and stories behind the convention-defying homes. Design lessons are gleaned from each home—some examples of environmentally aware construction with applicable tips for use in more mainstream scenarios. 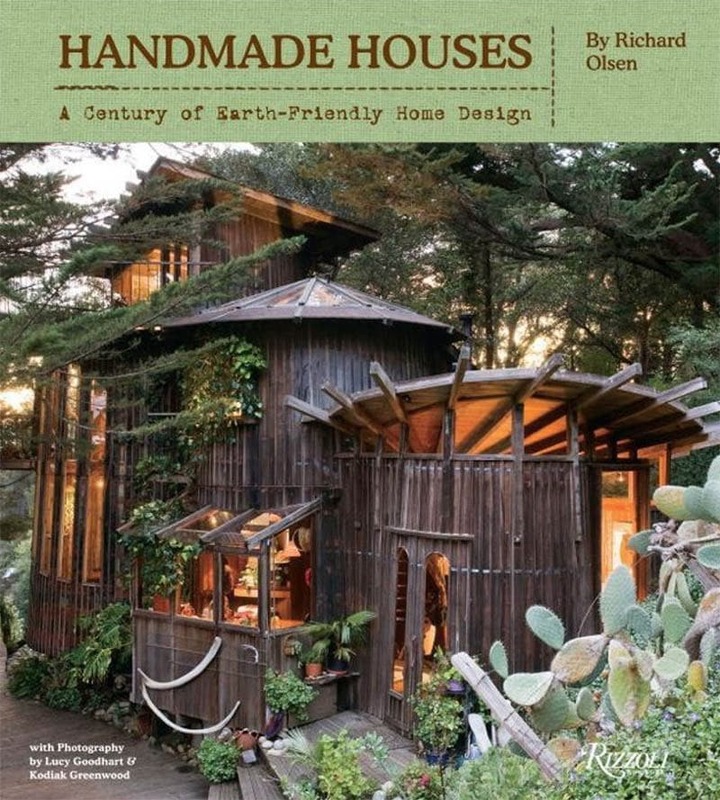 Handmade Houses is an important and relevant volume to be appreciated by anyone interested in environmentally friendly design, craft, and the expression of personal style in the home.